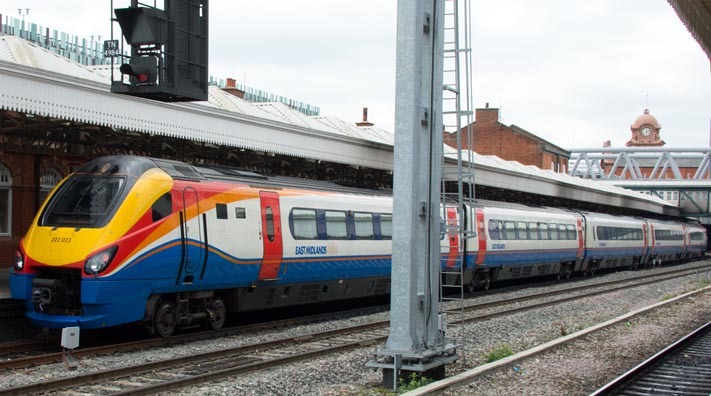 East Midland Trains HST with 43049 at Nottingham station 24th April 2015. 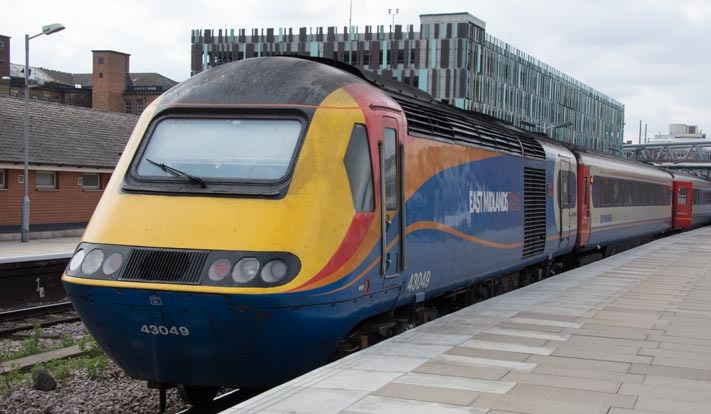 East Midland Trains HST power car 43059 at Nottingham station 24th April 2015. Nottingham station is one of the large stations on the old Midland mainline from London to Sheffield. It was one of two large main line stations in Nottingham, the other was the now closed Victoria station run by The Great Central Railway. Victoria is now closed and is now a shopping center. The Midland station runs west to east, not north to south. Derby is to the west and Newark and Grantham to the east. 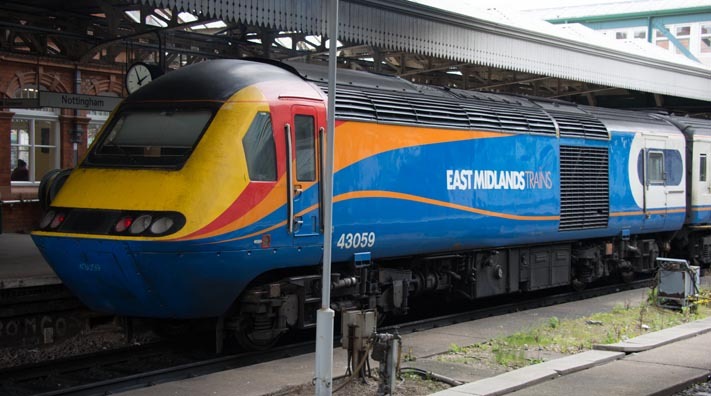 Today Virgin East Coast, East Midland Trains trains and DRS are just some of the names on the trains. These names keep changing, but that means I have to keep taking photos. I also take photos of preserved railways with steam diesel and electric trains.There is lots more to add and I keep taking More!